Royal Enfield has confirmed that it is working on a bigger Himalayan. This bike will not only be sold in India but internationally as well. It is expected to feature the newly introduced 650cc parallel twin four stroke engine. 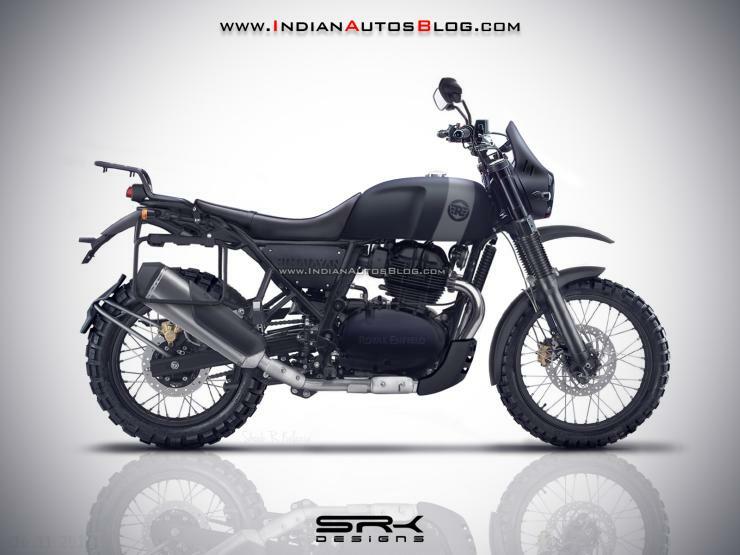 Here is a render that shows what the Himalayan 650 could look like. From the render, we can make out that the overall shape of the Himalayan 650 will resemble that of the 410cc model. However, the major changes may include the seating, front fairing, tyres, wheel sizes, exhaust and of course the engine itself. You must remember that this is a speculative render and that the final bike may look a lot different from what is show here. The 650cc engine that already powered two new Royal Enfield bikes – the Interceptor and Continental GT 650 – produces 47 PS of peak power and 52 Nm of peak torque. The engine features 4 valve heads with a single overhead camshaft. A 6 speed manual gearbox with a slipper clutch is offered with this engine. ABS is standard along with electronic fuel injection and oil cooling. The larger capacity bike is expected to have all the other key features that the current Himalayan offers. It will have high-travel suspension at the front and the rear, a high ground clearance and also relaxed seating ergonomics. The fuel tank will give it a decent range while ample space will be offered for luggage fitment. It will be a total adventure bike. Royal Enfield is expected to price the Himalayan below the 4 lakh rupee mark, at almost double the current model’s price. The current Himalayan 410 features a single cylinder four stroke engine and is priced at Rs. 1.67 lakhs. The Himalayan 650 is expected to be launched in India by the end of 2019, or even early 2020. It is expected to be one of the most affordable yet reasonably powerful ADV bike sold in India. We are quite excited. Are you?